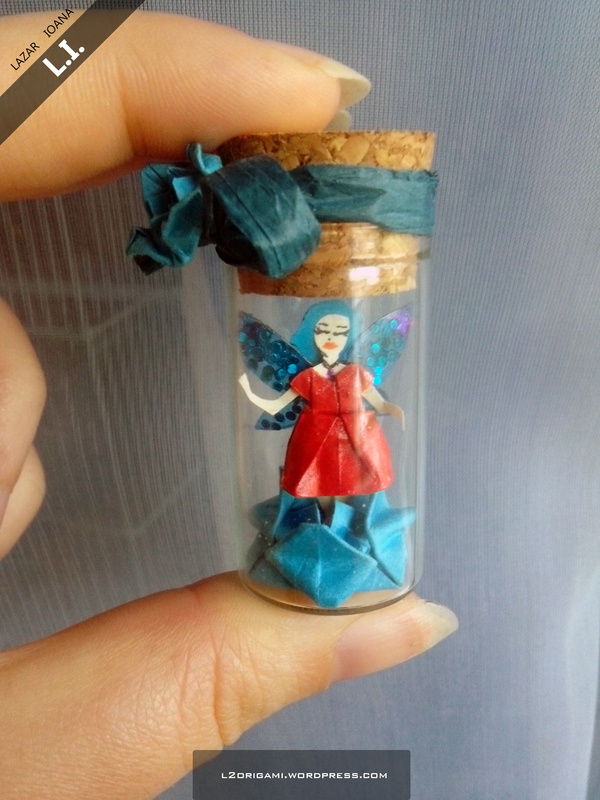 Do you have directions to the fairy in the jar ? 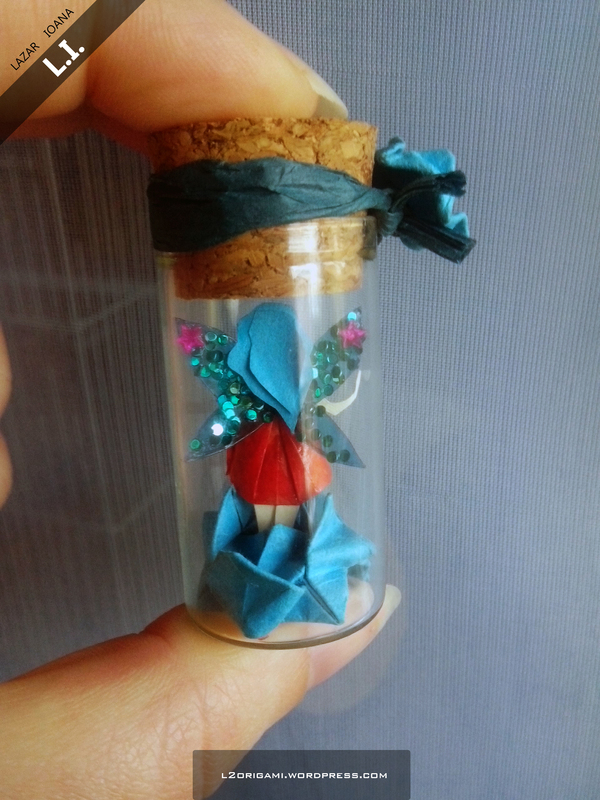 Here are the following tutorials you can use to craft your own Fairy! 1. Make 2 origami Dresses. 2. Make an origami flower big enough to fill the inside of the recipient you wish to use. 3. The head, arms and legs are a simple cutout of paper and glued to the dress (it’s good if you glue these on one of the origami Dresses then glue the other dress on top of the assemble -> dress + arms,legs,head + dress – like a sandwich). 4. The wings are cut from some colored transparent Plexiglas on top which I have spread some heavy duty glue and then sprinkled some glitter and other stuff). Glue the wings to the back of the dress. 6. Draw the fairy’s face and shoes then glue her feet to the flower. 7. 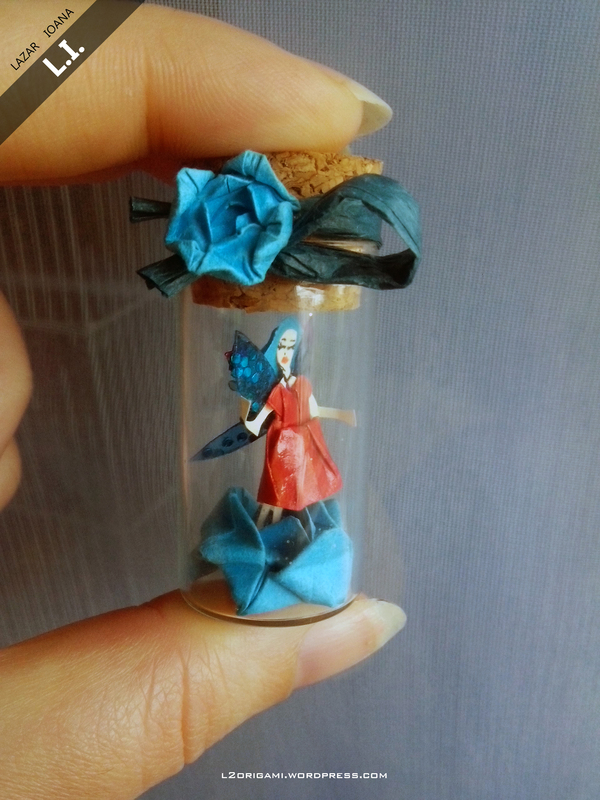 Place the fairy+flower inside the recipient. 8. Put the lid on. 9. You are done 🙂 Trapped magical fairy! 10. OPTIONAL: you can decorate your recipient any way you wish (ribbons, flowers, origami cranes etc). For any other questions feel free to leave a reply to this message!